Bitter Creek offers a full line of fixed oils and butters for all of your soap and body care making needs. 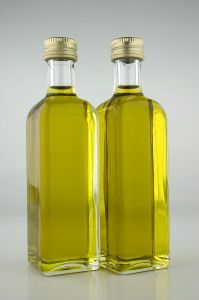 When you are working from raw materials, using only the best quality oils is important. We take pride in offering the finest quality at an affordable price. In a Stainless Steel or Glass Bowl using the double boiler method melt your Shea Butter. You can also do this in a Pyrex Measure Cup in the microwave and place in the bowl. Begin mixing using an electric hand mixer on low, increasing the speed as the mixture begins to whip like frosting. When the mixture is big and fluffy, like frosting and holds peaks, package in our PET plastic jars!